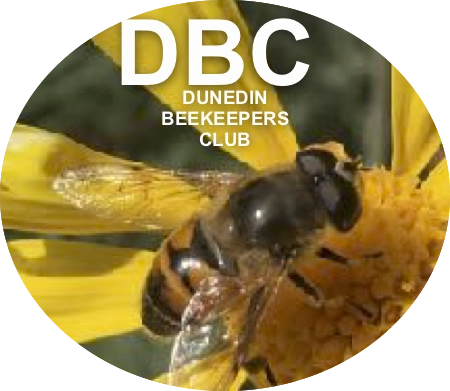 Dunedin Beekeepers Club meets on the second Saturday of each month at 1:30pm, at The Malcam Trust 45 Maori Rd. This can be a little tricky for newcomers to find, but if you stop at the intersection of Hawthorne Ave and Maori Rd, and look up to the horizon in the north/east, you will see the clubrooms among the trees. Travel the short distance along Maori Rd, turn up to the park, past the only house. At the top of the drive turn right into the clubrooms carpark. We are mostly hobby beekeepers, and some of us don’t have any bees yet, some of us have been keeping bees for years, and many of us are in between these. Our aim is to develop skilled beekeepers, and to protect the honey bee industry in NZ, by educating and supporting those who work with these amazing creatures.